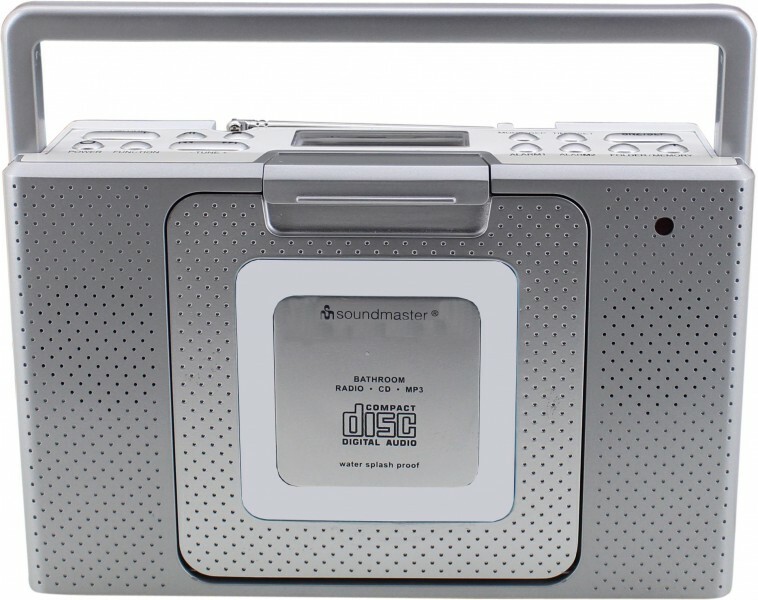 With its practical handle, the stylish Soundmaster brand BCD480 radio might look like a good old portable cassette player, but it is equipped with state-of-the-art technology. 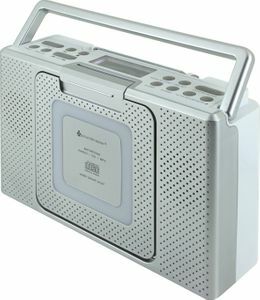 Along with its PLL FM-stereo radio, this hi-fi device is equipped with a CD player that can play not only commercial music CDs but also CD-R and CD-RW discs. 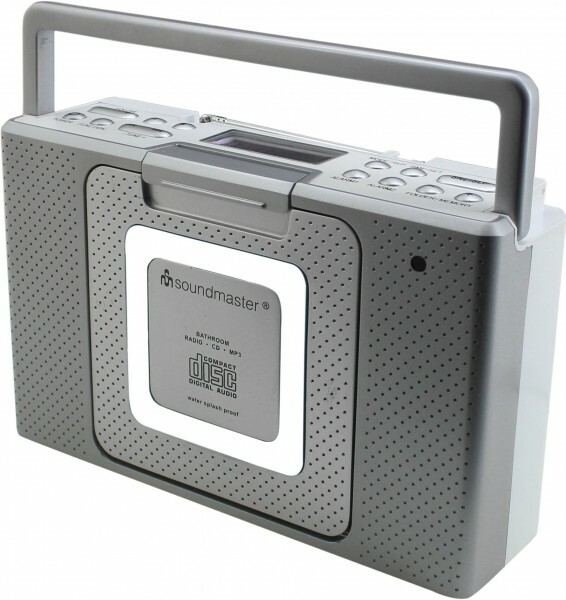 The device provides brilliant stereo sound and is splash proof in addition to being suitable for damp environments. It is ideal for use in the kitchen or bathroom and also makes a superb outdoor companion thanks to its optional battery operation. The brilliant blue LCD display with its included clock can be read easily even under difficult lighting conditions. The sleep timer and alarm clock complete the technical features of the portable stereo radio, which places special value on ease of use.